Gallery TANK will be exhibited itself in a 3rd Tartu International Graphic Festival starting 7th of January. 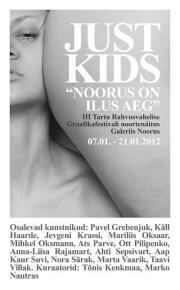 It will be a part of the FESTIVAL YOUTH EXHIBITION at Noorus Gallery (Riia 11, Tartu). This meta-gallerization does not mean that we’ll be hanging on a mannequin. Tank will be in Tartu on the opening and closing day (Saturday 21.01) of the exhibition. Inbetween we are accessible in Tallinn with a brand new exhibition.